Itembase Customers select Itembase for its worldwide direct connectivity value proposition. Instead of choosing to integrate to Merchants with point-to-point solutions they elect to connect one-time with Itembase which then gets them connected to 550+ Marketplaces & Commerce Systems where Merchants transact. 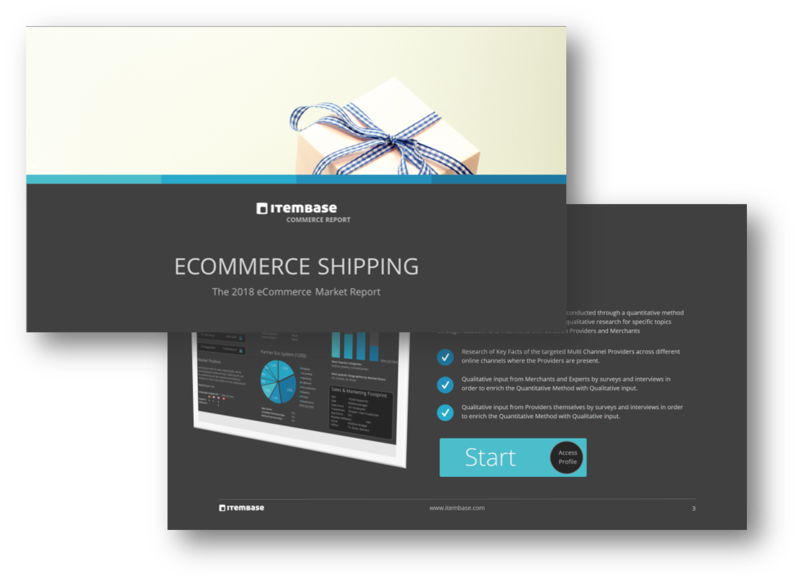 This single connection to Itembase allows Shipping Services Customers to scale faster and with lower long-term costs. Never again have to manage eCommerce integrations, updates or enhancements – reduce the risk of not being able to transact. Get access to every part of the market and don’t miss out on opportunities. Select new markets, new Connectors and strategic partners based on real market data instead of your best-guess, IT and available resource limitations. Let data drive your connectivity decisions. Merchants need help and they are looking to connect with Solutions like yours, especially for Cross Border Shipping. Give them what they want and connect them to your Solution for free reducing their cost. Unify eCommerce data from every Itembase connection to Marketplaces and Commerce Systems leading to one executable format for all of your business activity and value creation opportunities with your Merchants.